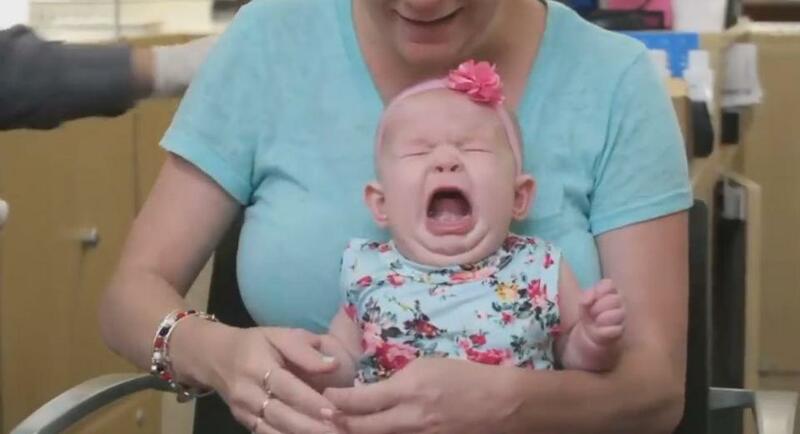 A mum who made her baby daughter get her ears pierced has come under scrutiny with some accusing her of child abuse. A video of the encounter, which is relatively tough to watch, was posted online and shows the toddler sitting on a chair in a piercing shop, as two workers get ready to pierce her ears. 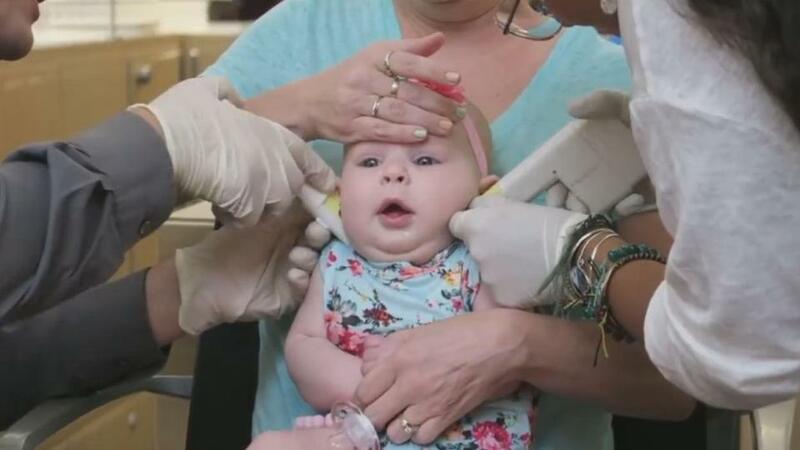 At first, the baby is incredibly calm but as the piercing gun rips through her ear lobes, the tot wails out in shock and pain. More than 12,000 people have commented on the footage on Facebook, which is believed to have been filmed in the U.S. and almost all of them are thoroughly disgusted. Why would you do that! Poor baby was panting she was already stressed…abuse it shouldn’t be allowed!!!! I walked out of somewhere that was preparing to Pierce a baby’s ears . . She could only have been weeks old . . I could hear her piercing screams from other end of the precinct. At the minute in the U.S. there are no laws to prevent anyone, of any age, having a piercing so long as they have their parent’s or guardian’s consent – so no laws were broken in this video. However is it morally just to put your baby, stress the word baby, through a few minutes of trauma and pain just for the sake of putting jewelry in their ears? Seems pretty wrongful to me.